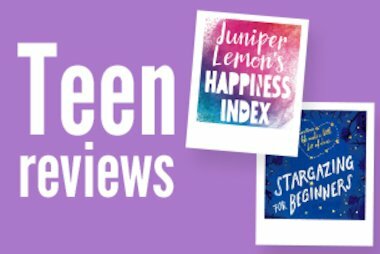 Our final teen reviews for the September offer, this time from Feranmi, Sam and Eva. Carry on reading to discover what the three of them thought about Evolution: Into The Fire, The Survival Game, The Extinction Trials: Exile. 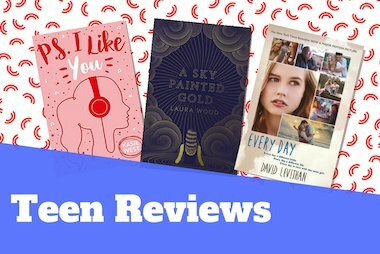 If you’d like to reviews one (or more!) of our YA novels in time for our next offer in November the please visit www.scholastic.co.uk/teen-reviews for more details. This novel (and trilogy) is suitable for those age 12 and above. 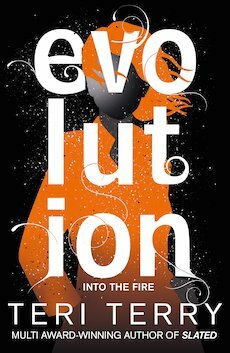 ‘Evolution: Into the Fire’ can be categorised as a psychological thriller, adventure, mystery, science-fiction and (to a lesser extent) romance novel. The cover is pretty to look at and very appealing. It’s hard to not be intrigued by the cover, I’ve had several people come up to me to ask what I’m reading since the cover and coloured pages look so different and really standout. How would you summarise the plot for someone looking to find out more about the book? The finale of the Dark Matter trilogy follows our protagonist, Shay, as she searches for answers surrounding the deadly epidemic that has been sweeping through Britain. As she gets closer to solving the mystery surrounding Xander, the charismatic leader of the Multiverse – a community of survivors – Shay starts to consider, is Xander leading her to the truth about the epidemic, or further into danger? The strongest part of this novel and the whole trilogy is definitely the mystery surrounding the epidemic, what causes it and Callie’s disappearance. Teri Terry skilfully creates a mystery that is almost impossible to figure out – honestly. This is what kept me reading the trilogy, I just had to know how everything tied together, and Terry truly does tie all loose ends from the previous two novels by the end of ‘Evolution’ which makes it feel like I was rewarded for reading the trilogy. Additionally, the description of the survivors’ ‘powers’ and the extent of Shay’s ‘powers’ is interesting to read, as well as the way Terry describes the survivors’ using their minds to manipulate their surroundings and the physics concepts used throughout the series. I only had a minor issue with the ending of the book. Although I was satisfied with the explanations given, I felt like the ending was a little rushed. Just a little rushed. The Dark Matter trilogy as a whole, is a very good read that is extremely intriguing, the writing is highly emotive when it needs to be and accessible (with a few challenging words sprinkled through the novel), so anyone can enjoy this series. It’s important to note that throughout the trilogy, there is some swearing (however, in each book, there are never more than two explicitly said swear words), as well as descriptions of blood, death and violence. This book is suitable for teenagers of 14+ years and is an adventure story. 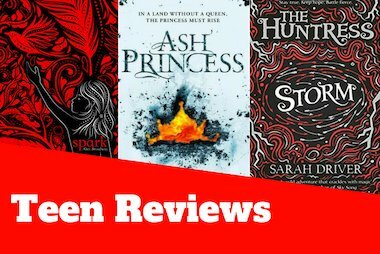 Why is the book worth reading and what did you like about it? This novel is beautifully crafted and leads you to a personal understanding of a lot of things in life. From what time is and how it’s perceived to what is classified as home. The beauty in the story comes from the hardships endured by the protagonists. And what one is willing to do for the other. What is the hook line for this book? If you loved Divergent you’ll love this. What was your first impression of the cover and how did it shape your reading? This cover fits the story that is held behind it perfectly. With the lack of detail allowing the viewer to see a plethora of possibilities for the two of them. What did you think of the front cover? Black with gold leaves surrounding a gold eye. The area around the eye is scaly and this shiny scale effect continues over the whole cover of the book. The title is in bold gold and white lettering. 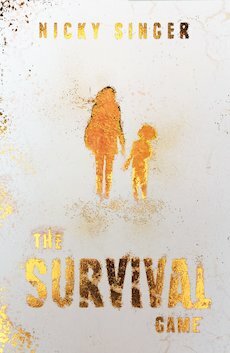 I love how the cover has the same leaves and font as that of the first book, but the leaves are different coloured and the eye has changed from a girl’s to a dinosaur’s. I like how the cover is fairly simple because this adds to the suspenseful look of the cover and indeed tone of the book. The cover definitely makes me want to pick up the book and start reading. How would you summarise the plot of the book? The book picks up exactly where the first left off, with Stormchaser and Lincoln adjusting to their new lives having made it off Piloria alive. But although Lincoln’s sister was promised free health care, her illness is still rapidly getting worse until Lincoln comes across some ointment he saved from Piloria and tests it on her blistering skin. When he discovers it works, he informs his boss, whose daughter is also dying from the plague. Meanwhile, work on the dinosaur viruses is continuing and scientists make a few that they think may be able to kill the dinosaurs. Storm is hired by a mysterious old man who asks her to help him map Piloria. But when an authority figure discovers Reban Don is Storm’s father, he decides as punishment, both Reban and Storm should have to be the ones to deliver the viruses to the dinosaurs. Lincoln volunteers to accompany them, to collect some more leaves to make the plague ointment, and he also brings the Jesa, the daughter of Blaine, the mad stipulator abandoned on Piloria for having a family. The group manages to disperse all the viruses, with a few close shaves, and even find Blaine and reunite him with Jesa. Lincoln collects plants for the victims of the plague and the gang are all set to return home when disaster in the form of a t-rex and a rugged former contestant strikes. Blaine ends up dead during this disaster and Jesa is left with the task of returning home to deliver the news to her mother and brother. At the last minute, Storm makes a life-changing decision and decides to remain on the continent with her father, who is banished there forever, so Lincoln and Jesa board the boat and wave her goodbye. I completely adored this book from start to end, with its action packed plot and thrilling setting! It had me on the edge of my seat, and there was a surprise around every corner, even when you were least expecting it. The extra twist at the end was the cherry on the cake in this incredible story! I loved returning to Stormchaser’s world and revisiting old characters while meeting new ones too. 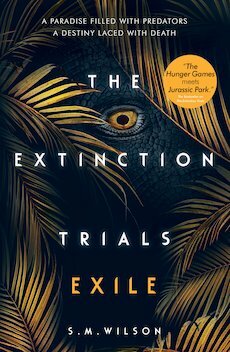 I would definitely recommend this prehistoric adventure of a book to anyone who enjoyed The Hunger Games and Jurassic Park!